Fence off your property with high-quality fencing materials from Midway Lumber Company Inc. Stop by our store and explore the various aluminum and vinyl fencing and iron railing options we have in stock. Our professionals are available to discuss the wide range of options available for you. You can also check out the selection of fencing products we have available at SuperiorPlasticProducts.com. Visit us today for all your fencing, railing, and electrical needs. 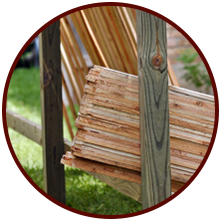 The best place to find good-quality fencing materials at great prices is Midway Lumber Company Inc. We offer fences from several brands in a wide variety of materials, including PVC, aluminum, and vinyl fencing. PVC trim in particular offers an affordable way to add decor while boosting the security of your property. Help your guests up the stairs with iron railings. Midway Lumber Company Inc. is your source for a wide variety of railings suitable for inside and out. You can use iron railings to make porches and overhangs safer or to decorate stairwells and other areas where a handhold would be useful.